Hardwood flooring professionals and workers require an assortment of tools for the correct and efficient installation of a floor that is safe and quick. There are number of tools available, more than 50, however, here we shall take a look at some of the most important ones that you should have on hand. 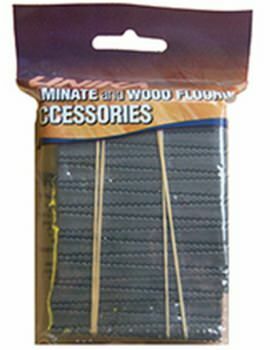 These may be used to fasten the wood flooring to the subfloor. Nails are used to drive nail below wood surface. For hand nailing of tongue-and-groove flooring, it is advisable to use the nail set on its side, so there is no damage to the corner of the flooring strip. Nailing machines quicken the nailing time and reduce the time spent reaching for nails when doing the job. Nailing machines come in many different models. The ratchet and spring-loaded machines release nails when stuck with a mallet. Pneumatic or air nailers use compressed air to operate and require a higher degree of safety awareness. The ratchet-style models can be operated by anyone as they can operate with several strikes. Spring-loaded nailers work on the one strike, one nail principle. Pneumatic nailers shoot fasteners into wood or concrete. Some need hitting it with a mallet while others come with a pull trigger. Installers use fasteners or straps to attach the subfloor to the concrete. 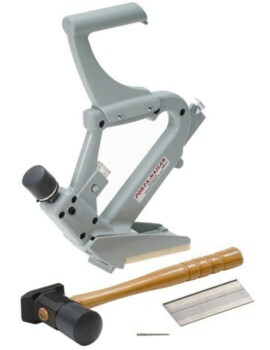 These tools allow for wood movement in a highly efficient way. 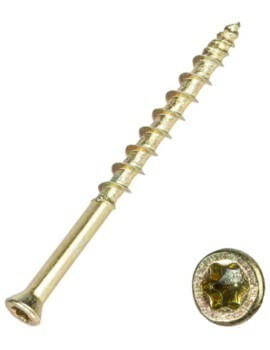 Cleats are barbed nails with a T or L hooked head, meant for use with a specified type of nailer. 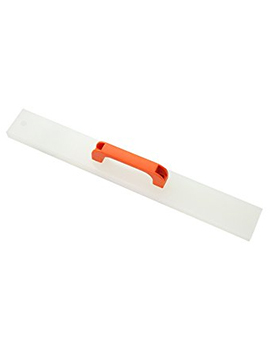 Their thin rectangular shape prevents the nail from splitting. Some nailing machines use staples instead of cleats and are equally effective. 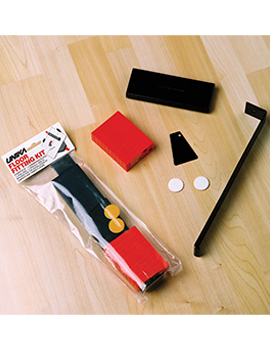 Cut nails, finish nails and screws are also used to fasten wood flooring. This can be either hand nailing or with a nailing machine. 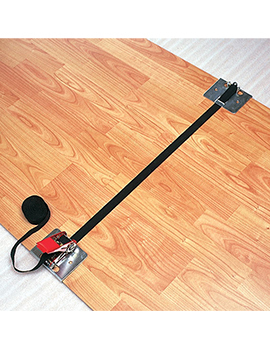 Floor Strap Clamps for laminate and solid wood flooring are designed to ensure several rows of floor panels are tight and in position, ensuring the floor is tightly fitted with no gaps. 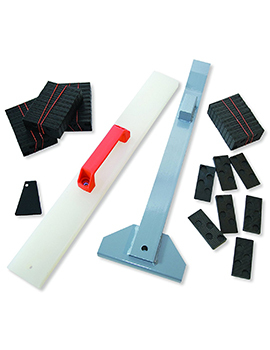 It is recommended to use 3-4 tension straps on a standard floor to guarantee no open joints. Rubber mallet enables effective nailing. Otherwise, the gap between the boards will remain, and creaks will occur. Make sure you use a good quality rubber mallet, approved for wood flooring. 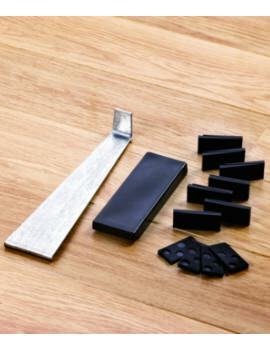 A flooring type of mallet comes with a rubber head, encased in a soft, white material that won’t mark the floor. 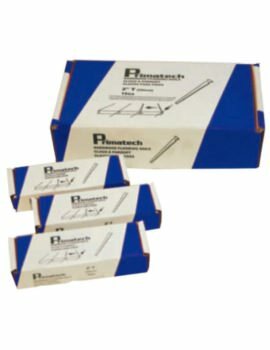 The models with graphite handles are lighter and easier to work with. A dead-blow hammer comes with a hollow head, filled with steel shot to deliver a solid blow without rebounding. Pull bars are useful for floating installations, nailed and glued floors. 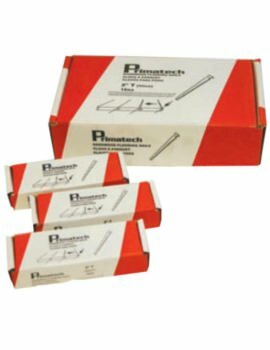 They are used for engaging boards as they run vertically across the installation or for pulling in that last row or finished baseboard. 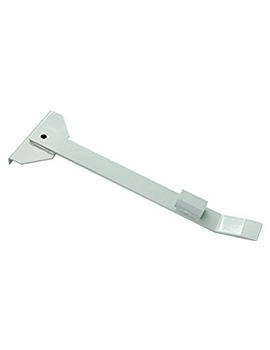 Some pull bars feature interchangeable blades, handles, and fulcrums that make installations efficient and easy. Pull bars with an extension offer greater leverage and those with ergonomic grips give greater control. Better-quality pull bars can take the major blows of a hammer. 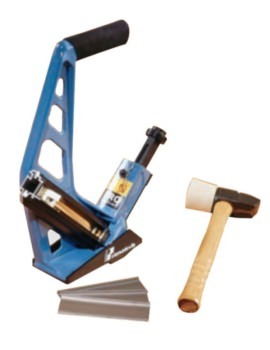 Buildworld offers an impressive selection of quality flooring tools, installation supplies, and accessories. 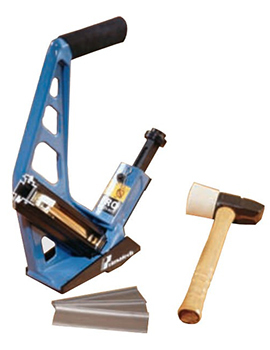 Our tools aid installation of carpets, tiles and wood floors.